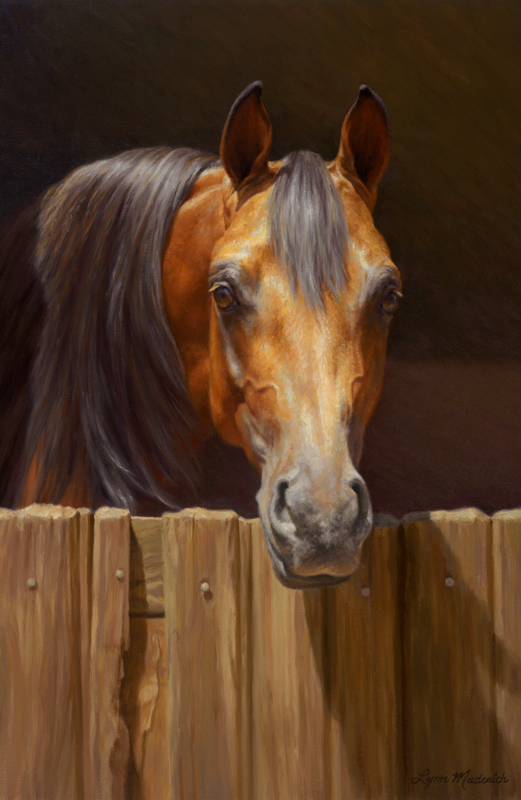 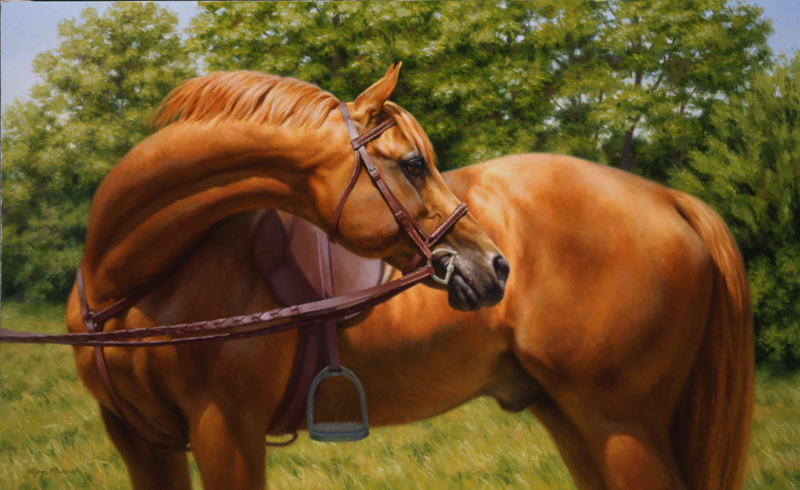 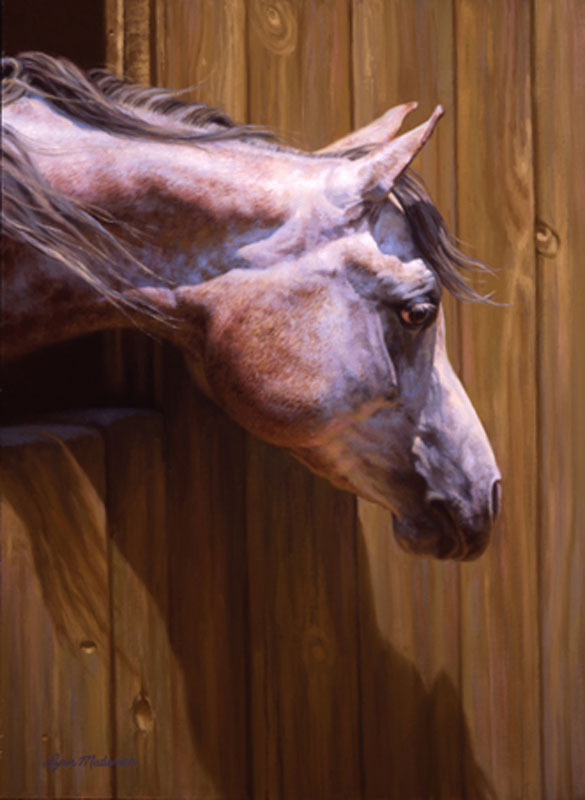 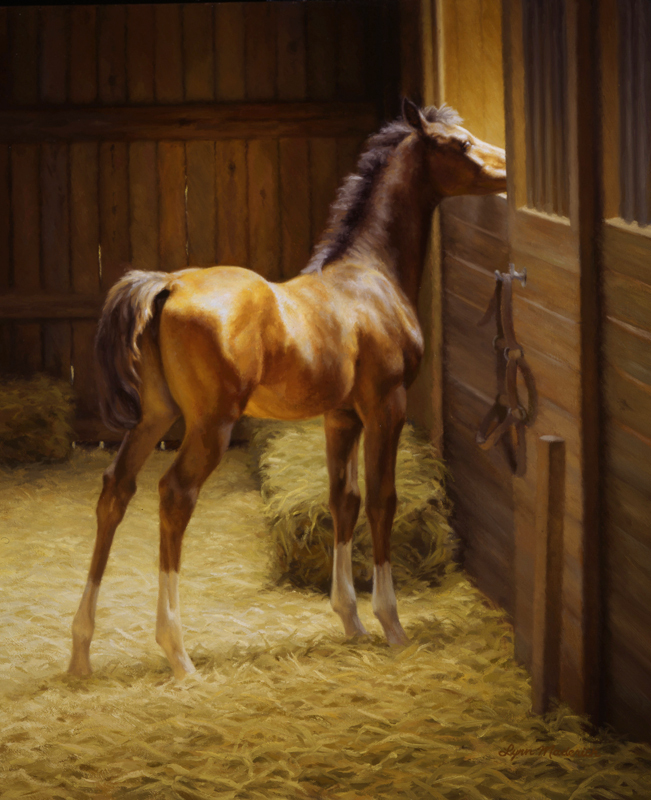 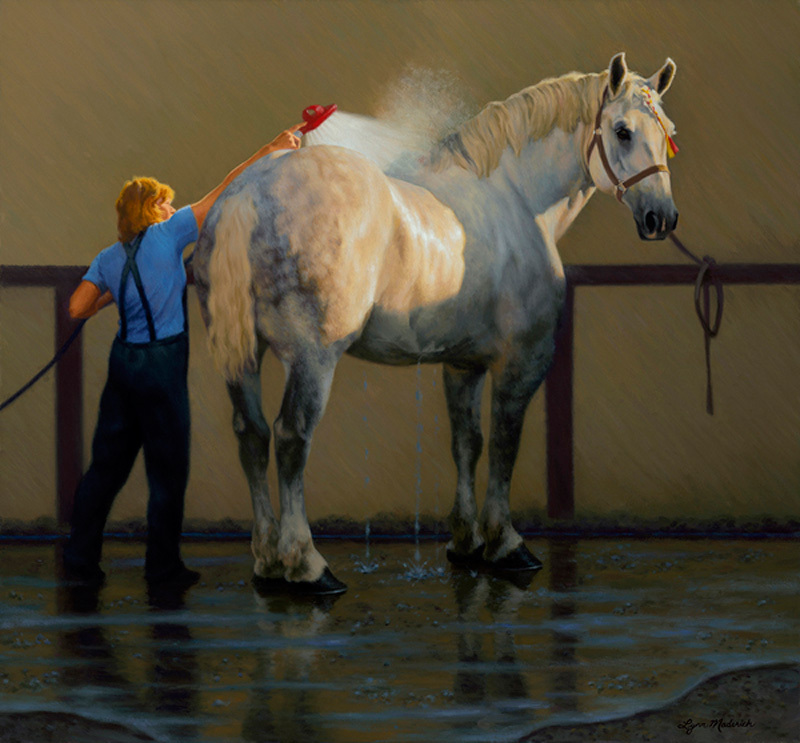 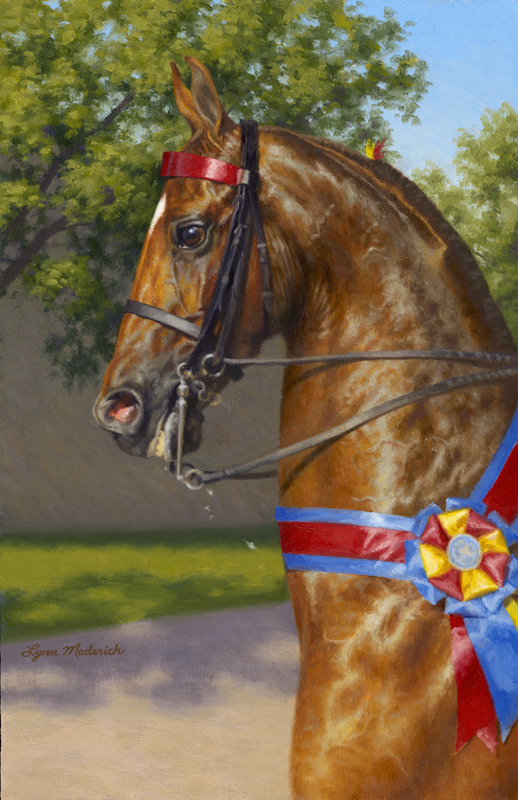 Winner of The Kasper Foundation Equine Art Award at the 2006 American Academy of Equine Art juried show. 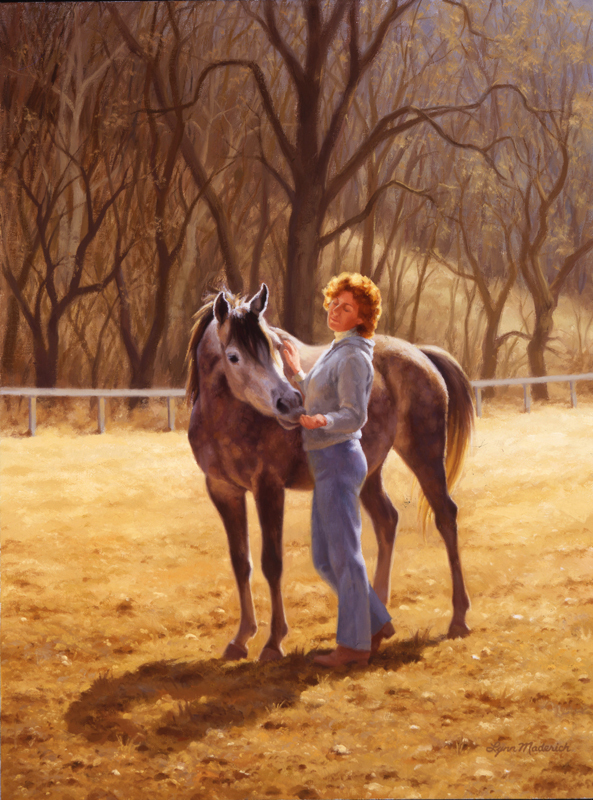 Only the Arabian mare was pregnant when I took a series of afternoon photos at this farm. 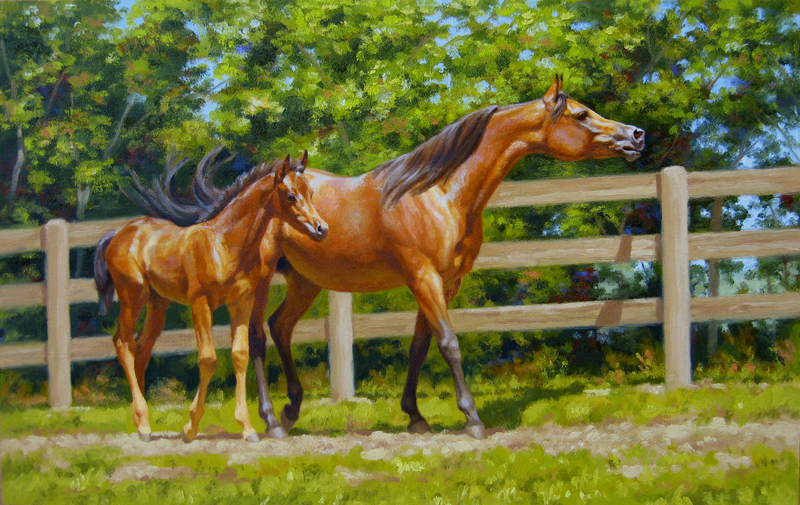 I know the woman wasn’t expecting but as I later worked on this piece, I thought how interesting it would be if she was pregnant but didn’t yet know it. 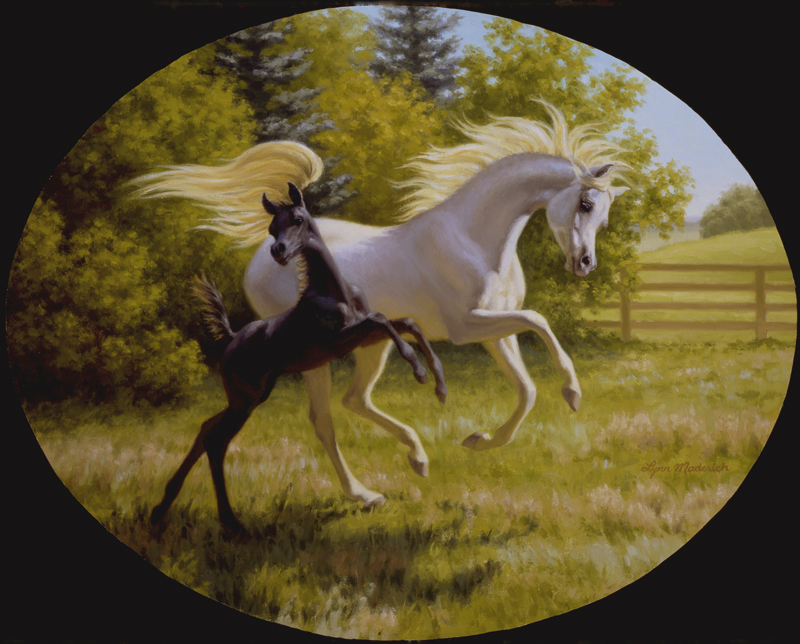 And perhaps the mare already sensed their sisterhood. 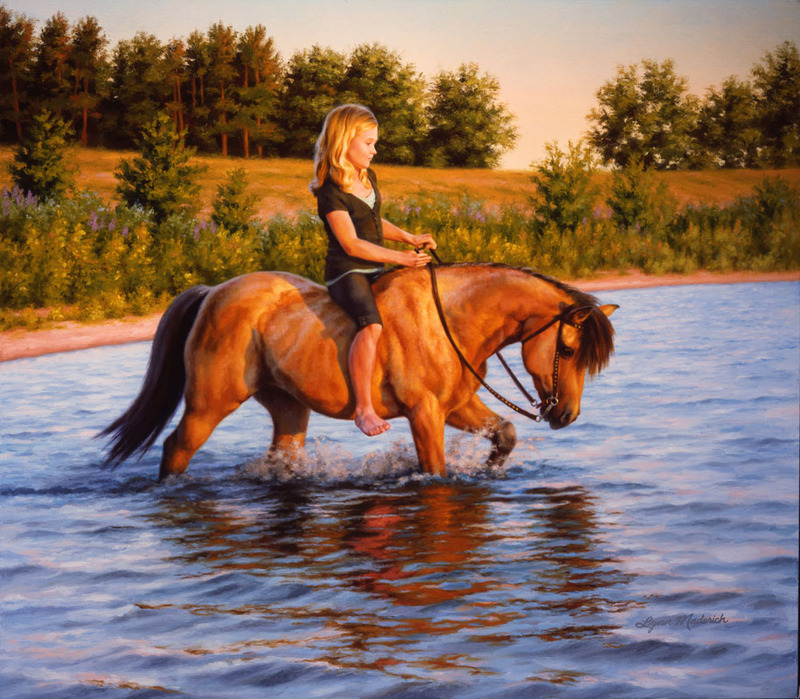 It became the story in my head that led to the title.